The discussion touches upon conversion processes in the dynamics of city life. The participants consider the problems of conversion of Irkutsk’s industrial enterprises, their random or natural character. They give reasons for their opinions on the changes in the city toponymics. They also study the cases of annexation of waterfront territories at the Angara River and Lake Baikal. TKACHEVA, Marina. Discussion Club “Conversion”. project baikal, Russian Federation, n. 55, p. 29-35, apr. 2018. ISSN 2309-3072. Available at: <http://projectbaikal.com/index.php/pb/article/view/1277>. Date accessed: 22 apr. 2019. doi: https://doi.org/10.7480/projectbaikal.55.1277. 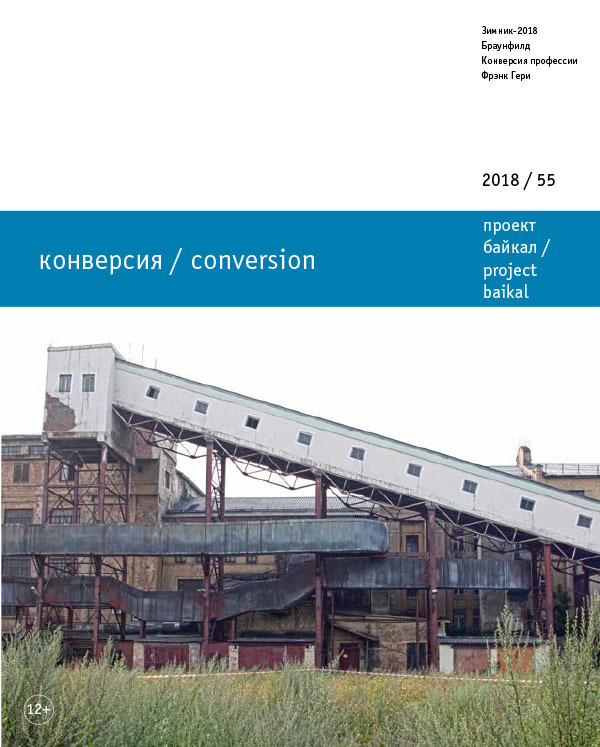 conversion; reconstruction; Irkutsk; Baikal; industrial zones; International Baikal Winter University of Urban Planning Design; city toponymics; culture.